EEW BROCCOLI! 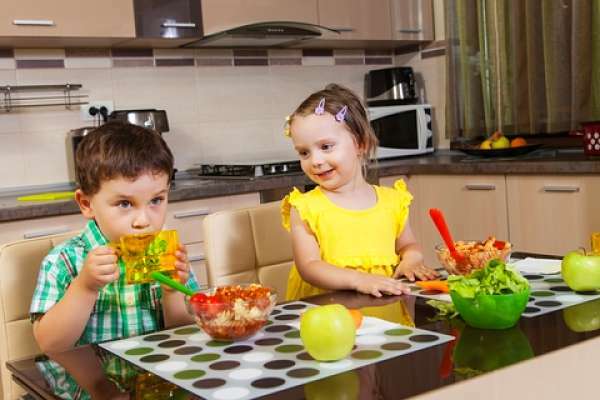 5 Tips To Make Healthy Meals For Kids A Hit. Do you have to negotiate with your son or daughter to get them to eat their carrots or broccoli? Or does your dog end up getting scraps of veggies at dinner time? If your little one hates eating their vegetables, then you’re not the only parent dealing with this! Most kids despise anything that’s deemed as “healthy meals for kids” or that isn’t packed full of sugar, so how can you supposed to get them to eat healthily? There are actually a lot of different things you can do to change their eating habits, and the sooner you start, the better! While having your kid cook with you is a great way to get them interested in meals, you should also get them interested in the ingredients! When you go shopping with your child, ask them to pick out which ingredients they want to use. For example, have them choose the tomatoes for the salad or the fruit for the parfait. When they are involved with picking out the ingredients, they are much more likely to help cook and enjoy the meal. Kids love being “little helpers” in the kitchen and they are more likely to eat foods if they are the ones who helped prepare healthy meals. 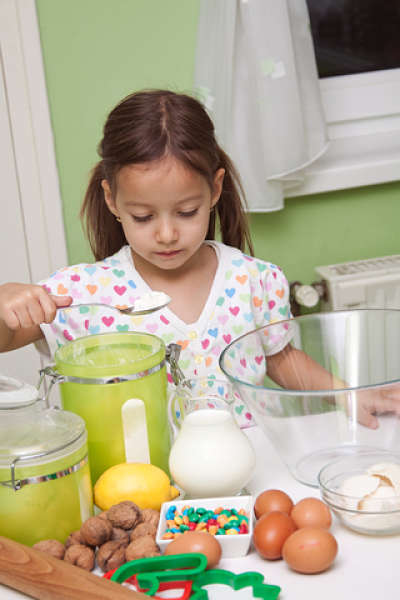 For kids, doing simple things in the kitchen to get them involved in the process can be fun. For example, have them put fruit into bowls for parfaits or let them mix together different ingredients. You’ll be able to bond while cooking and your kid will be ready to dive into the foods that they helped create! Grow vegetables with your kids and they will be involved with making healthy food from the very start! There are a lot of veggies you can grow that are easy to maintain, so stick with those if you don’t have a lot of time to dedicate to gardening. Your kid may want to taste what they helped create, so it’s worth a try. If you can’t grow something, then see if you have a farm nearby that gives tours for families. This experience will teach your kids a lot about where their food comes from. Every parent has, at one point or another, turned into a short order cook for their family. They’ve cooked pasta for one kid, burritos for another, and then a different dinner for themselves. Instead of letting your child dictate what they eat, give them choices within the main meal. For example, you could have burrito/taco night where everyone chooses what they put on their tortilla. Incorporate vegetables and other nutritious foods into this so your daughter or son will have a choice with what they eat. 5. Trick Them With Healthy Deserts For Kids. While you might not want to admit it, sometimes trickery is necessary for parents who are dealing with picky children. Most children won’t ask what is in something if they think it tastes good, which means you have an opportunity to help them to eat healthier. For example, you could make them a berry smoothie that has kale and spinach blended into it. They won’t notice the taste of the greens because of the sweetness of the fruit and they will enjoy having a cold drink to sip on! Another awesome way to get your children to eat something healthier is to make “ice cream” using only frozen bananas. All you have to do is slice some bananas and pop them into the freezer. After they are frozen, put them into your food processor and you’ve got soft-serve ice cream that is healthy for them! You can also make frozen pops out of these with added fruits, so the possibilities are endless! Last, but not least, experiment with ingredients that are healthier than those you typically use. For example, instead of using sugar for recipes, use agave syrup, honey, or stevia. You can also experiment with almond and soy milk in place of cow’s milk and even try to make brownies using beans! There are TONS of great healthy kid friendly recipes online that are healthy and packed full of nutrients, so try them out and become adventurous in the kitchen. These tips about healthy meals for kids aren’t going to turn your child into a broccoli fanatic over night, but they can help you get them to eat healthier little by little. Just be patient, have fun, and explore new ways to enjoy healthy foods together! You might be surprised at how fun eating better as a family can be. If you liked our article on healthy meals for picky kids please don’t forget to: like, share, or tweet us.